San Diego – Historically speaking, the United States Supreme Court (SCOTUS) has heard relatively few intellectual property cases. However, in recent years this trend appears to be changing. In fact, the October 2018 term has five IP cases on the docket. The outcome of the cases could have huge ramifications for businesses and their ability to protect intellectual Property assets. 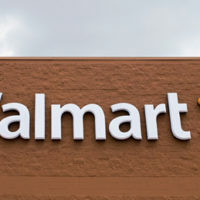 Orange County – On July 10th, 2018, Walmart filed a patent for audio surveillance technology for quality assurance purposes. According to the patent, sound sensors will be used to collect audio data to help improve the customer experience by focusing on the details of shoppers such as how long they stand in line, beeps of the scanners, rustle of bags, and even the conversations they have. Orange County – Last week the US Supreme Court approved the inter partes review (IPR) process for patents, which many believe helps high-tech companies fight patent infringement lawsuits and “patent trolls” more easily and at a lower cost. 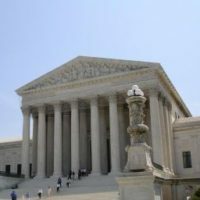 The justices ruled 7-2 that the U.S Patent and Trademark Office’s in-house patent review does not violate a defendant’s right under the U.S. Constitution to have a case judged by a jury and federal court. Los Angeles – On Thursday, March 8th 2018, Nike filed a patent application for golfing glasses that show all types of data while playing. The glasses would allow golfers to track their ball and read putting greens with a heads-up display. Needless to say, if the glasses work as claimed, for golfers they could become as ubiquitous as golfing shoes and a visor. San Diego – Amazon has won two patents for wristbands that inform employers what their employees are doing. The patents were originally filed in 2016 and were published on January 30, 2018. The wristband can track employee movement including how active the employee is which would be a measurement of productivity. The wristband could also track how often the employee took breaks, visited a restroom, and can even vibrate when a task is performed incorrectly or if an employee becomes too inactive. San Diego – Bill Gates and 20 other inventors filed a patent for a high-technology football helmet equipped with sensors and a processing circuit. The goal of the helmet is to try to minimize the head trauma injuries that are plaguing the football world. Orange County – In the recent past, audio and then video monitoring of newborn babies was considered cutting edge technology. However, a new patent application filed by Google makes those advances seem quaint. Google’s patent application shows where baby monitoring technology is going which is hopefully to a place where serious concerns for parents like SIDS become a thing of the past. San Diego – Apple was granted a patent for a button-less phone with a wrap-around screen the encompasses the entire phone. The innovative design is intended to take better advantage of phone space and to remove fixed buttons, such as the volume controls that are usually externally located on the sides.